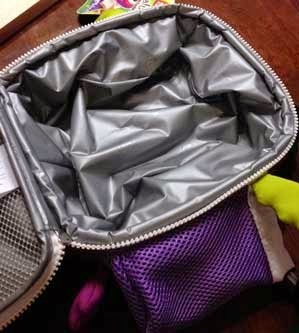 Inside is roomy and can be cleaned with a wet cloth. The way Penny tosses her food containers back in her lunch box, though, I expect this will be quite a mess when we send warm-up meals. 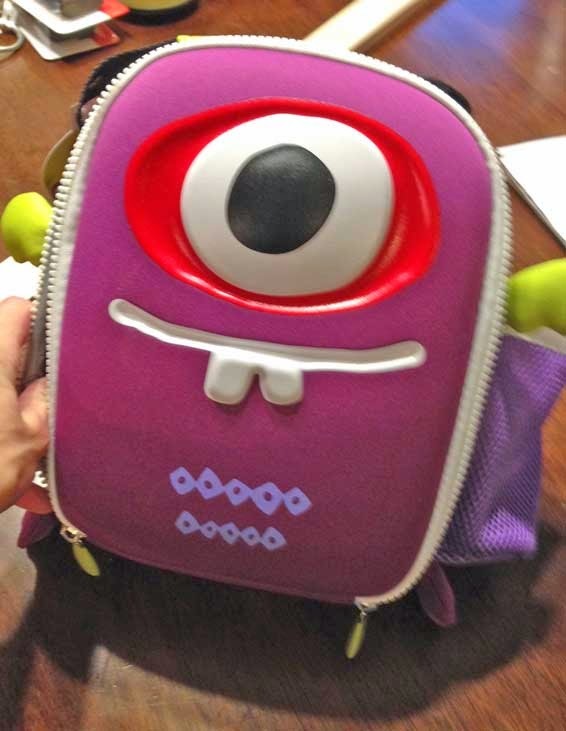 When I was looking for info on this line of lunch coolers, I learned that Igloo is revising the product line for 2015, with a couple of their characters moving forward, some getting a face-lift, and new ones releasing next year. We probably found the only one left at the store. Sadly, it looks like this guy isn't on the list to continue in 2015. For those of you who need to send a drink with lunch, this cooler has a side pocket just for that - or for a thermos of soup. We don't send drinks but the idea of adding a soup to her lunch is quite nice. Then I can just put a sandwich and carrots inside. It's really big enough to fit it all inside at Penny's age, but when she's a couple years older, that outside pocket will be quite useful.